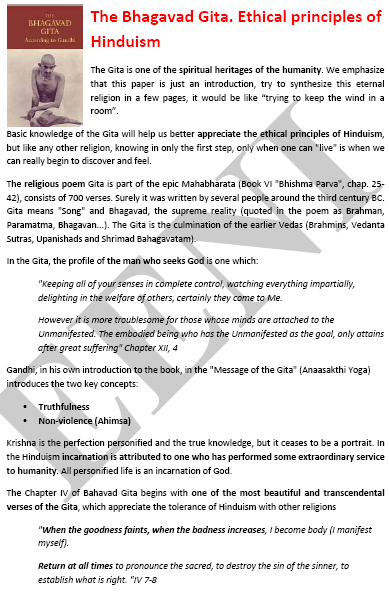 Syllabus of the Online Course (Subject) - Hinduism (India). 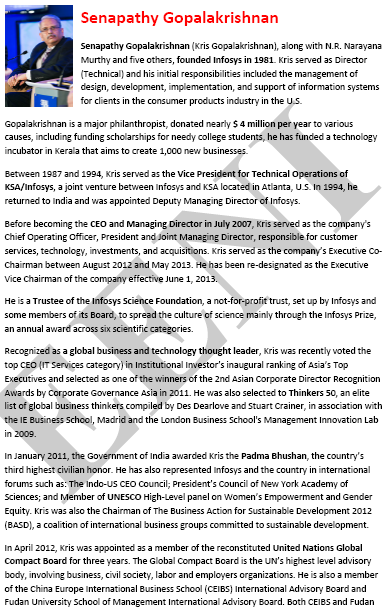 Hindu Business People. Learning materials in (or Hinduismo Hindouisme Hinduísmo). “Everyone should follow his religion. A Christian should follow Christianity; a Muslim should follow Islam, and so on. 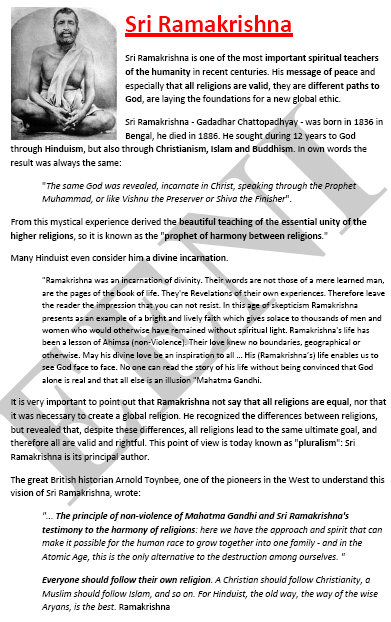 For Hinduism, the old way, the way of the Aryan wises is the best.” Sri Ramakrishna. The difficulty of finding a proper definition is that Hinduism has no central doctrinal authority (similar to the papacy in Catholicism), but they have swamis (teachers) or gurus (spiritual guides). The appellations are based primarily on the god worshipped as an absolute reality and traditions that accompany worship of that God. The vast majority of Hindus claim that Hinduism is monotheistic, claiming that Hindu pantheon is only the representations of one God to facilitate human understanding of the Absolute Reality. Hinduism is a Wisdom Tradition that evolves periodically throughout the history. “Live and let live” defines relatively well the vision of Hinduism. Hinduism is probably the most tolerant religion with the others, as seen in the history of India in the last 2500 years. Hinduism has lived with Parsees, Sikhs, Muslims, Christians, Buddhists, and Jains. When the purpose of the life is forgotten. I will manifest, I will return. The Absolute Reality of Hinduism is Brahman. The Hindus believe in the reincarnation and law of Karma. 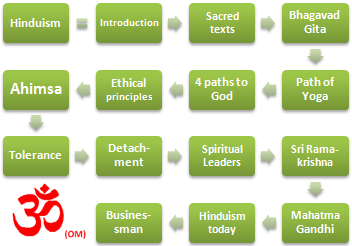 Hinduism proposes different ways to reach God (the path of love, devotion, knowledge) depending on each person. The Ethical Principles of Hinduism: Ahimsa (Non-Violence), detachment (abandonment of the fruits of the action), Truthfulness, Not to steal, Self-control, discipline, appropriate words and thoughts, and motivation to achieve the goal. The principle of Non-Violence (Ahimsa) should be one of the pillars of a global ethic. All religions also share the Ahimsa Principle especially Jainist, Zoroastrians, and Buddhists. Patanjali suggests the ethical practice of five exercises: ahimsa, truthfulness, non-stealing, pure life and not greed. This is widely reflected in the Bhagavad-Gita. Previously we have seen several Hinduism values: Ahimsa (non-violence), tolerance, and truthfulness. 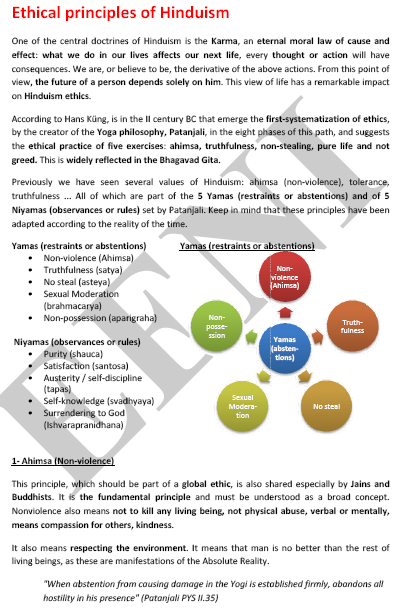 All of which are part of the five Yamas (restraints or abstentions) and five Niyamas (observances or rules) set by Patanjali. 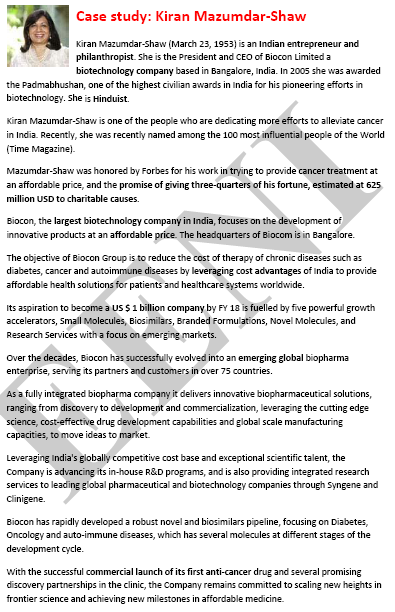 Religions and business - Indian Religions Zoroastrianism, Sikhism, Jainism, Buddhism.